Laura Duffield (‘21) stopped to listen to Sarah Wyatt (‘20) provide information on the candidates. On Oct. 30 from 8 a.m. to 6 p.m. in front of the Dahl Centennial Union, Field Organizer for NextGen America Sarah Wyatt (‘20) and a group of NextGen volunteers gathered for NextGen Iowa’s event: “One Week Out” Day of Action, which was organized as a way to turn out young voters for the midterm election. “Since we are a week away from the midterm elections, we are trying to make sure that every single student has a plan to vote, knows how to vote, knows when to vote, where to vote, and [we are] just making sure that students are going to go out to the polls,” Wyatt said before the event. Young people ages 18-35 are the largest eligible voting demographic across the country and make up approximately 28 percent of registered voters in Iowa, according to Media Coordinator of NextGen Frances Swanson. 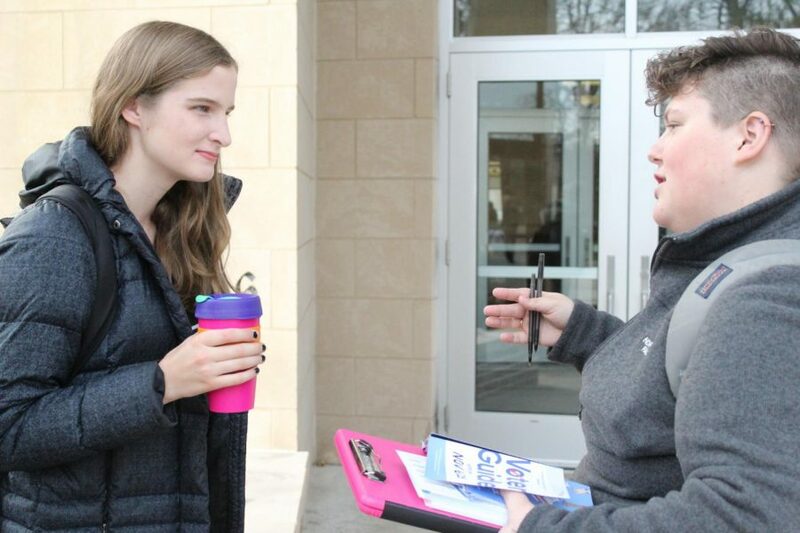 Over the course of spring and fall semester, Wyatt, NextGen Fellow on Luther’s campus Piper Wood (‘21), and other volunteers have collected 618 voter registration cards and pledged 859 students to vote in the upcoming election. The governor’s race is between Fred Hubbell and incumbent Kim Reynolds, while the Congressional District 1 race is between Abby Finkenauer and incumbent Rod Blum. 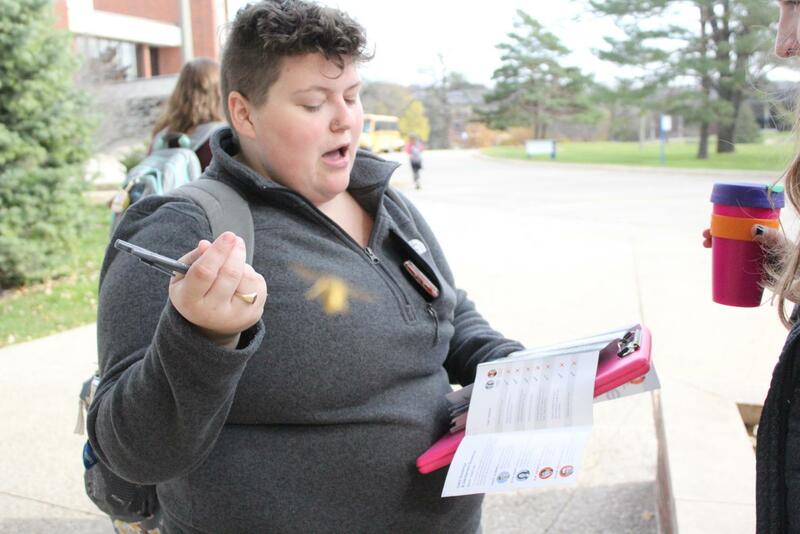 The outcome of this election may flip the House, and Tufts University ranked Iowa’s District 1 as the top district in the country where young voters would be able to swing the election. However, young people are statistically less likely to vote on Election Day than older generations. According to Wyatt, students are beginning to understand the importance of their voice in the democratic system so that the system will begin to work for them. Elliot Dauma (’19) stopped outside of the Dahl Centennial Union to pledge his vote. Mae Cody (‘21) believes voting would have an impact on the rest of young people’s lives. “I think it’s hugely important for [people] our age to vote, especially because the policies that we’ll be supporting by picking certain legislatures will be in effect for most of our lives,” Cody said. Wood added that if young people vote, they “win,” because then the majority’s values will be heard. According to Hager, young people are eager to vote because they are allowing their voices to be heard in a bigger movement. Wyatt and Wood shared specific information pertaining to Luther students on Oct. 30. They situated themselves outside the Union, where they had the opportunity to interact with the most students, which is characteristic of their movement at NextGen America. Sarah Wyatt (’20) provides students with basic information about the candidates in the Nov. 6 midterm election. In early vote numbers alone, 258 people voted on Luther’s campus, which is three times the turnout rate than in 2014 at approximated at 85 people. Having the early vote site on Luther’s campus made it more convenient for students to get to a place to vote, according to Cody. Students are looking at this as an educational experience in which they want to learn more and be more informed about voting and about what that means in Iowa’s election cycle. 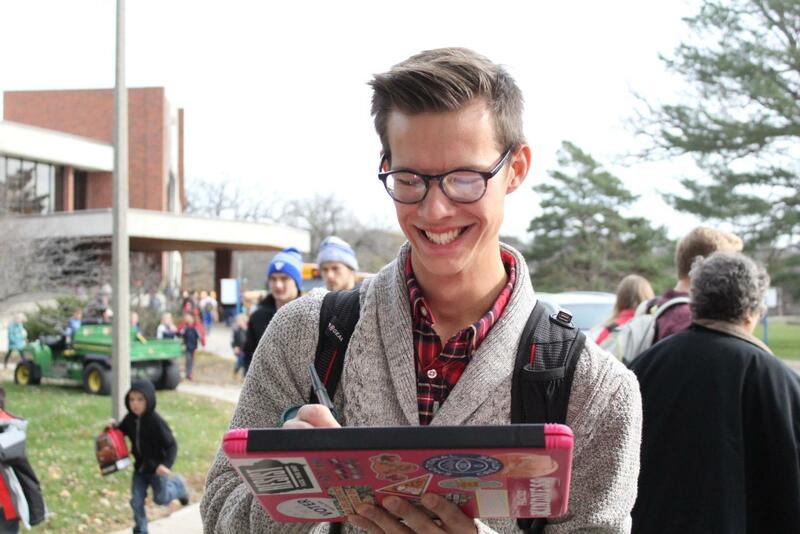 According to Cody, it may be the lack of information that students feel like they can’t vote.